The Institute of Advanced Biomedical Technologies (ITAB) was co-funded by the European Union in the FP3, and started its activity in 1998. 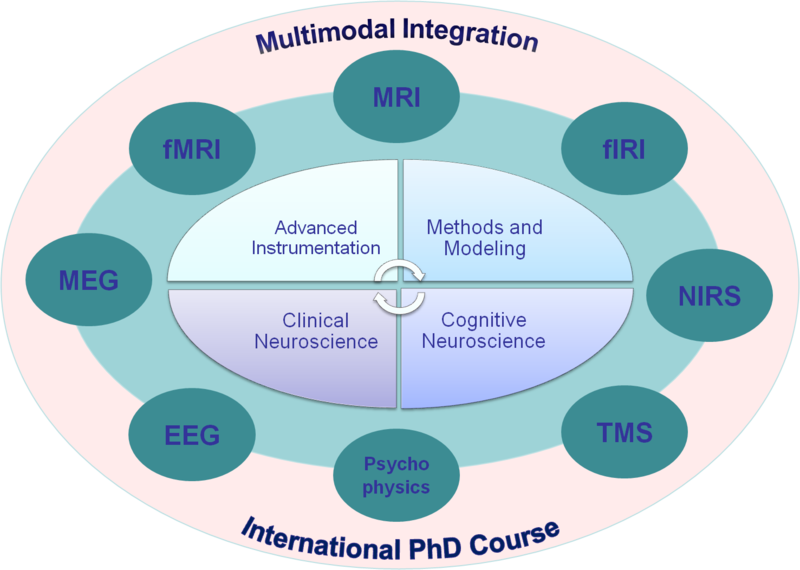 It is institutionally devoted to functional imaging and, for what concerns neuroimaging, it has the specific aim at using different imaging technologies, such as functional Magnetic Resonance Imaging (fMRI), ElectroEncephaloGraphy (EEG) MagnetoEncephaloGraphy (MEG), Transcranial Magnetic Stimulation (TMS) and InfraRed Imaging (IRI) in a combined approach, in order to obtain multimodal integration. The MEG system operative at ITAB is a whole-head system – completely developed in Italy - and features a 165-channel sensor array. A novel 500-channel system is under completion and will become operative during 2008. Two MRI scanners (1.5T and 3.0T Philips Achieva) are also operative. Both fMRI and TMS are endowed with a simultaneous 32-64 channel EEG compatible recording device, to perform integrated measurements and combined data analysis. The Institute of Advanced Biomedical Technologies (ITAB) stems from the dream of applying Physics to the understanding of the mysteries of the human mind. We devote our efforts to develop and integrate different methodologies and to stimulate collaboration of researchers with different backgrounds, in order to achieve the best research quality. Our goal is also to obtain optimal training of young talented students with whom we want to walk together along the wonderful road of scientific investigation. 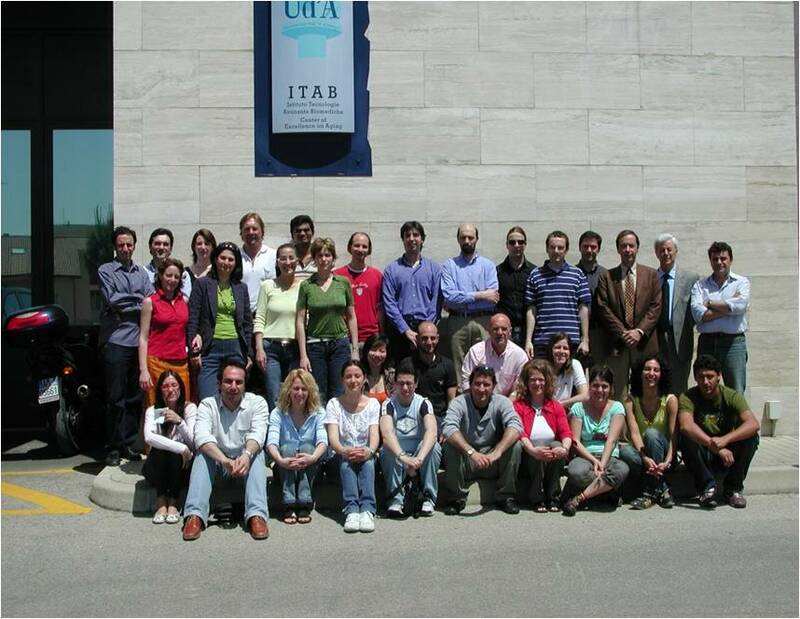 ITAB has been selected during the EU FP5 (2004) as a Marie Curie Fellowship Host Site, and is leading since 2006 an international Ph.D. course, “Functional Neuroimaging: from Cells to Systems” in collaboration with three Italian Universities and fourteen International Research Institutions. ITAB is currently carrying on a Marie Curie Chair – the only chair in Neuroscience in Italy - in the frame of EU FP6.